Linn’s DS players are considered to be some of the best digital music systems in the entire world. When the first ever DS player launched back in 2007, it took the industry by storm thanks to its groundbreaking ability to deliver the highest quality digital music experience ever heard, and allow DS owners to play studio master recordings in the comfort of their own homes. Almost a decade later, Linn’s commitment to continuous improvement and innovation has meant the DS range has only got better with age. It’s not just new customers who’ve been able to enjoy Linn’s exciting new features such as Space Optimisation as existing owners have also been able to benefit via upgrades. The range currently includes the Akurate, Klimax, Majik, and Sneaky, and throughout January 2016, we’ve been showcasing a different DS player every week on our blog. For our final blog post of the month, we’re highlighting the advantages of owning a Linn Magik DS player. Since it first launched, the Linn Magik DS has won numerous awards, including the prestigious title of Best European Audio Source from the EISA (European Imaging and Sound Association). It’s a compact digital streaming player that delivers outstanding results and leaves traditional CD players trailing in its dust. 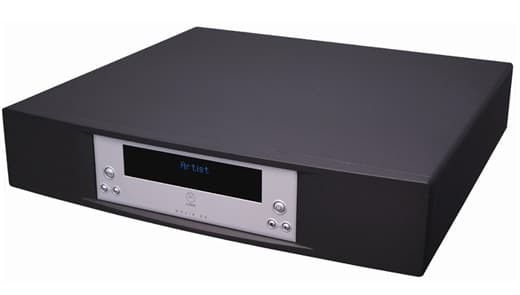 With this superb system installed in your home, you’ll be able to enjoy digital downloads, online streaming, music ripped from your CD collection, and Internet radio stations, all in Linn’s superior audio quality. With the simple touch of a button, you’ll be able to catalogue your music collection, and control and play it on demand via remote control, touch screen, smartphone or tablet. And, if you want to enjoy your favourite tracks in other rooms throughout your house, all you need to do is add a Knect multi-room system or additional Linn Magik DS players to your setup. As experts in Linn’s products as well as being an authorised Linn retailer, Rococo Systems is ideally placed to advise you on how you can make the most of your Linn Magik DS. We stock a number of Magik speakers, including the 109, 112, 126, 140, and Isobarik models, which are all designed to complement the DS player and showcase its outstanding performance with full effect. These speakers can be ordered in a range of finishes to ensure that they perfectly suit their surroundings. If you’re keen to find out more about the Linn Magik DS but you’d like to experience its sound quality first-hand before you commit to buying, you can make an appointment with our London or Essex showroom by calling us on 020 7454 1234 or 01277 890 888 respectively or by completing our online demo request form. Our resident experts will happily demonstrate the system to you in our purpose-built Linn suites, and answer any questions you might have. This service is provided free-of-charge, but we do request that you pre-book your demonstration.